Congratulations! You win 34 bonus points with this purchase! Purchased sweet honey colourvue big eyes. I have naturally dark eyes and asian skin and these perfectly make my eyes pop in a subtle way. I only wear these when going out or when i dress up smart to make a want to make a bigger impact and impression. I'd recommend this product to everyone who wants bigger eyes, they are amazing and everyone always compliments me about them. The Best Dioptric Lenses in the UK. Highstreet shops can't offer these colour options or lense diametres.nThe colour density is really high spec. Loved them on and definitely want more! Lenses are really good quality and very comfortable, as a cosplayer I'd recommend them to all my friends! Fantastic colour, though not as strong and brilliant as in the pictures. Personally I can feel the edges scratch lightly on my eyes, which I find a bit annoying, but that might be just because I'm used to wearing daylies on a regular basis. Lovely coloured lenses,not as bright as I expected, but made my eyes look huge! ColourVUE Big Eyes (2 lenses) – dioptric. 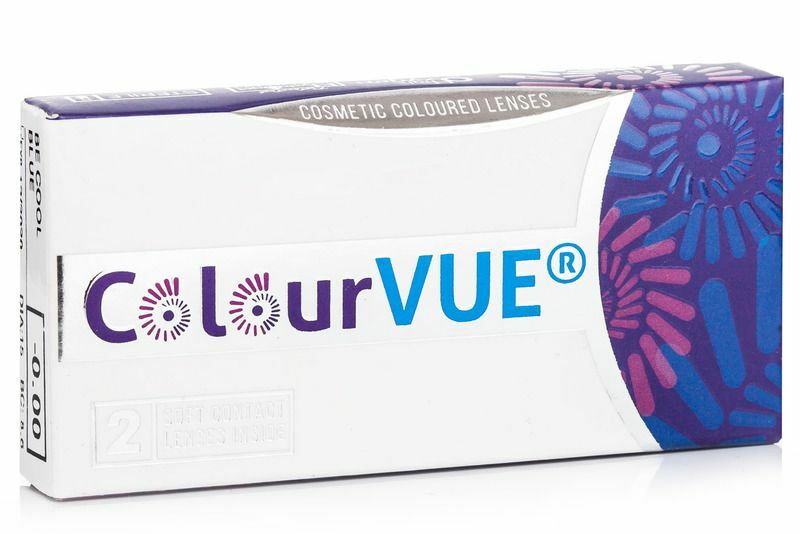 Big Eyes from ColourVUE are popular, coloured, opaque hydrogel contact lenses that make eyes look bigger and brighter and offer visual correction. The thick outer ring creates a defined eye with naturally blending colour tones, making them suitable for dark and light eye colours. Try Party Green or Cool Blue in the latest 15 mm diameter range. All other tones are 14 mm diameter. Some dioptres may not be available. Natural Ring may not be available for some powers. Lenses with shades Angel Hazel, Sweet Honey and Lovely Grey, from the ColourVUE Big Eyes Phantasee range, should be replaced monthly. How long can I use them for? They are quarterly lenses, so they should last 3 months. Please make sure you read the info leaflet. Helo, I would like to know or send to another country? We can ship anywhere in Europe. Please contact me at info@lentiamo.co.uk, for any query regarding dispatch. How often do the party green lenses need replacing? Thanks ???? Looking at the options for the 15mm diameter, I see Sweet Honey is available. Can you confirm if I order Sweet Honey 15mm, I will receive 15mm diameter lenses? These are quarterly contact lenses. 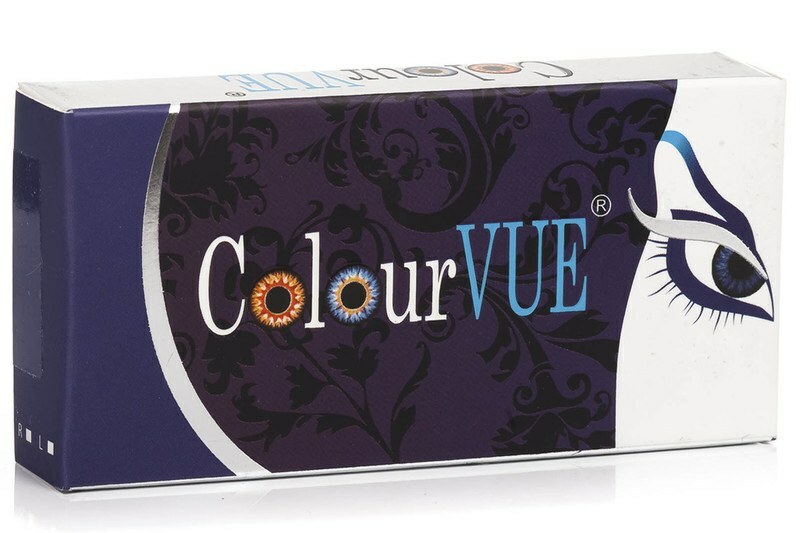 Bear in mind that, as mentioned in the description above, lenses with shades Angel Hazel, Sweet Honey and Lovely Grey, from the ColourVUE Big Eyes Phantasee range, should be replaced monthly. I'd like Dolly, but with a 14.5 Diameter ? I am sorry to confirm that that colour is only available with 14.00 Diameter. Do you do have these in black? The darkest ones are indeed called Dolly Black! Do you mean a box contains a pair of lenses or 2 pairs? Each box contains 2 lenses. The three different packages contain exactly the same lenses. Hello how long will these contact lenses last? Are they daily wear or one wear and throw away? Hi, does the ColourVUE Big Eyes lenses have a black ring around the 'Honey' coloured one? I'm looking for the dark brown lenses that appear under 'real photos'. Where can I find them? The lenses in the “real photos” are from all types of coloured lenses, used by our customers in all 15 countries we operate in. Unfortunately, I'm not able to say which lenses are used for the dark brown colour in this specific photo but I would suggest that you use the advanced search on our “Coloured lenses” page and find all the types of lenses which provide the brown color. Hi, can I ask why it happens . Before I used New looks one but this never happens to me . Hello! These will last up to 3 months! Thank you! Hi, If you don't have a prescription, then you need to select the power as 0.00. Thank you! Hi, are these contact lenses reusable? Regards. Yes it is. but you should disPoe after 2 or 3 months. What is the durability please? how long can these be worn for or are they just dailies? Hi.25 but i can't find 14.2 DIA can you please help me out for this . Thank you for this question. Contact lenses requiring cylinder and axis are called toric and we do not sell toric coloured contacts. Diameter is referring to the lens diameter (distance between the edges of the lens if we draw a line through its center). ​I hope my reply helped. Happy to remain at your service. does anyone know how long these last like are they a one use thing or a week or a month or a year? Thank you for your interest. 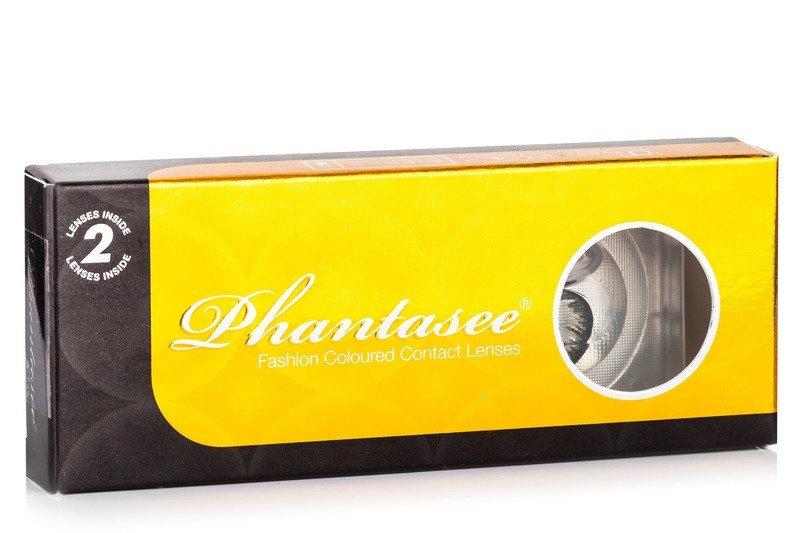 These lenses are quarterly (3 months), if maintained properly. You will need to buy the solution, or if you have sufficient bonus points, you can get it from the bonus points section. I hope my reply helped. Happy to remain at your service. Hi. If you have good eye sight and you only want to wear these lenses to change your eye colour you want to order the lenses that have no power. Therefore, you should order ColourVUE Big Eyes (2 lenses) – non dioptric. Non-dioptric lenses have no power, so they will not correct your eye sight, they will only change your eye colour. I hope everything is clear. Please contact us at info@lentiamo.co.uk if you have further questions! Is the dolly black not available in 15mm like the sweet honey lenses? Hi. Unfortunately the Dolly Black is not availbale with a diameter of 15mm, only with 14mm. The colours that are available in 15mm are Cool Blue, Lovely Grey, Party Green and Sweet Honey. Do you have any coloured lenses with a power of +5.25? Hi. We only have one brand of coloured lenses that have power +5.25. These lenses are called Air Optix Colors (2 lenses) – dioptric. Unfortunately we have no other lenses that are produced in your power. FreshLook Colorblends, FreshLook Colors and FreshLook Dimensions have power +5.00 and +5.50. But Air Optix Colors is the only brand that produce their lenses in power +5.25. Please contact us at info@lentiamo.co.uk if you have further questions! Hi. You will need to buy 2 separate boxes – one with power –3.75 and one with power –4.75. In one box there will just be lenses with one power. Therefore you must buy 2 separate boxes if you wish to buy two powers. Let us know at info@lentiamo.co.uk if anything is unclear! How long is the life span of these lenses? Hi. These are Quarterly contact lenses, so once opened and with the proper care, you can use them for up to 3 months. Is it with solution and a case? Hi. I am looking for Natural Ring Lenses without any power (0.00 parameters ). Have u got any in a stock? Unfortunately, Natural ring shade has been discontinued. Hey I wish to get natural ring -2 and -2,25 . If any time soon that's gonna be possible??? Hello, Unfortunately this combination is no longer available.